NEW! New unique sliding design for narrow headrest. Allows for precise positioning for opthalmic and ENT procedures. 24 possible locking positions provide surgeons with ultimate accessibility. Comes with 2" pressure management pad. Secures in desires position; remains horizontal. Clamps not required for mounting. 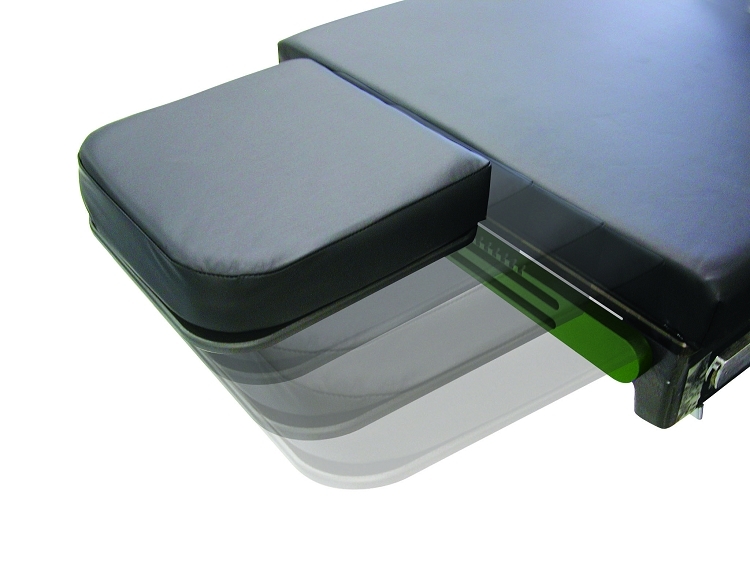 BK-NH-5300; Sliding headrest for Shampaine tables.